Every divorce attorney at GoransonBain Ausley strives for the best possible outcome while minimizing the disruption to your life. That’s the cornerstone of our approach to family law. We work diligently to get the results you want. Along the way, we consciously strive to foster a constructive atmosphere so you can focus on your future and resume a normal life. We also believe in moving matters forward in an expedient yet professional manner, using some of the most advanced resolution tools available today, including mediation, arbitration, and Collaborative Law. 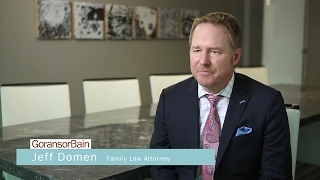 Collaborative Law is the cutting edge method of resolving family law disputes without the use of a judge, jury, or even a courtroom. In contrast to mediation, Collaborative Law effectively eliminates the threat of the courtroom from the very beginning, because both parties and their lawyers enter into a binding commitment to keep the case out of court. This enables both parties to pursue the outcome they want without the costs and delays that are often associated with courtroom litigation, and without leaving the outcome up to a judge’s ruling. When a more assertive approach is warranted, however, our team is highly skilled in courtroom strategies, tactics, and advocacy. In fact, three of our divorce attorneys are former Dallas County Family Court judges.